Each year nearly two hundred thousand men and women opt for nose reshaping, a procedure medically referred to as rhinoplasty. Rhinoplasty is designed to alter the dimensions of the nasal framework to produce a more harmonious facial aesthetic. If your nose seems disproportionate in relation to your surrounding facial features, one of our plastic surgeons at the Santa Barbara Plastic Surgery Center can help you achieve natural-looking enhancement by recontouring the nose for improved balance among your eyes, cheeks, lips, and chin. 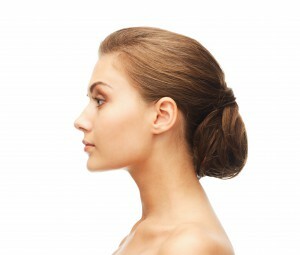 Depending on your ideal aesthetic, the shape, size, and general appearance of the nose can all be modified. Dr. Wesley Schooler and Dr. Leslie Irvine can assess your unique concerns and develop a treatment plan tailored to produce your desired outcome. Feel free to learn what can be achieved with rhinoplasty surgery by exploring our before-and-after photos. Dr. Irvine or Dr. Schooler will ask you about your cosmetic and functional concerns during a consultation to obtain an understanding of your surgical goals. After evaluating your nasal framework, they will discuss whether open or closed rhinoplasty would be the most beneficial technique for your unique needs. Dr. Wesley Schooler and Dr. Leslie Irvine emphasize strong communication and patient education at our practice. At your initial rhinoplasty consultation, one of our doctors will discuss all aspects of the nose reshaping procedure with you and answer all of your questions. They will explain what pre-operative steps you will need to take, as well as what you can expect during recovery from the procedure. Rhinoplasty is usually an outpatient procedure performed under general anesthesia. Rhinoplasty is primarily performed using either the open or closed technique. In open rhinoplasty, our facial plastic surgeon accesses the nasal framework through an incision at the base of the columella, the strip of tissue that separates the nostrils. The incision heals very well and is usually barely visible by three months after surgery. This location can offer uninhibited visibility of the internal nasal structure, allowing a high degree of surgical control. Closed rhinoplasty utilizes an incision that is hidden internally for undetectable post-operative scarring. This approach can be appropriate in select cases of nose surgery, but the closed technique is not usually recommended for complex procedures or for revision rhinoplasty. After rhinoplasty, a nasal splint and/or protective dressings are worn for one week to facilitate proper healing of your nose. Swelling, tenderness, and bruising are normal and can be managed with oral pain medications. Most patients can return to non-strenuous work and daily activities within 7 to 10 days, although exercise and strenuous activity should be avoided for four to six weeks. While swelling of the nose is normal for the first few months after surgery, it should gradually dissipate to reveal your rhinoplasty results. The final outcome generally improves as time passes and swelling fully subsides. Dr. Schooler or Dr. Irvine will provide detailed after-care instructions to optimize your recovery. Dr. Schooler and Dr. Irvine will be able to assess your needs in an initial consultation, at which point our office can provide you with a personalized quote. To make your rhinoplasty expenses more manageable, our practice works with CareCredit® and Alphaeon™ Credit. These companies provide affordable plastic surgery financing for qualified applicants, offering candidates a variety of payment plans with low- to no-interest rates. For more information on the cost of rhinoplasty, please contact our practice to speak with a member of our team. With rhinoplasty, our plastic surgeons can renew balance among facial features and give your nose the shape and symmetry to meet your ultimate aesthetic goals. For more information on rhinoplasty, or to schedule a consultation, please contact us today.